Save your kingdom from an onslaught of marauding Orcs by launching your weaponized peasants at the invading forces! Power up with bombs, magic, beer and beans and try to make it to 50 thousand feet as fast as possible. 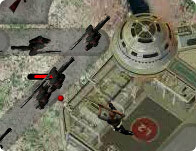 Use your mouse to click on the catapult to aim and fire. Buy upgrades in the town shop. Hit the stray cats through the holes in the gladiator wall. 100 points for a doorway, 300 points for a window. You can also chip, hook or slice depending on where you hit the cat. Good luck!